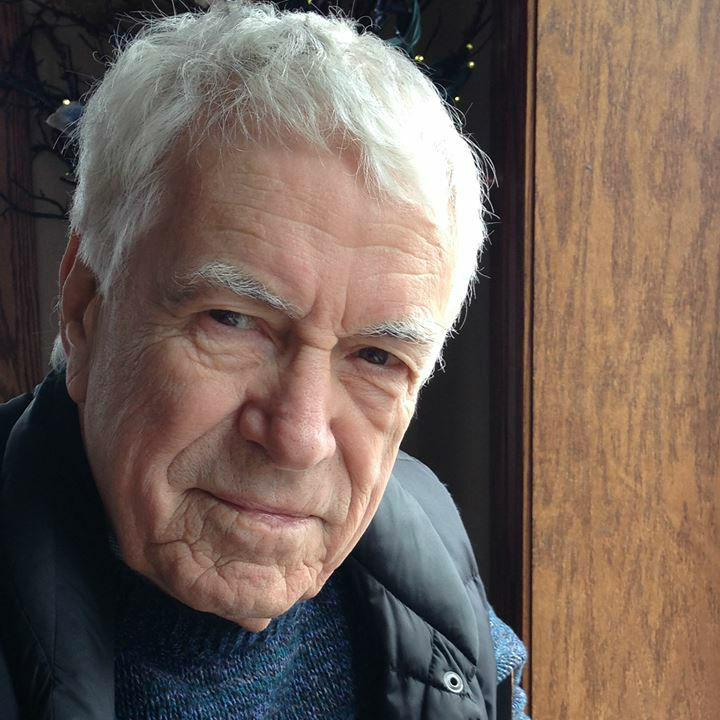 The author, Silver Donald Cameron, who parlayed his reporting on beaches into a magazine article, radio series, TV documentary, newspaper column, home video and book. It started, I guess, around 1988, when the Canadian Department of Energy, Mines and Resources hired me to write a series of short radio spots on coastal geology. I found myself in the Bedford Institute of Oceanography in Halifax, Nova Scotia, talking with a scientist named Bob Taylor, who was telling me that a beach under stress moves its underwater bar offshore to protect itself from storm waves. When the storm has passed, it relaxes and moves the bar shoreward again. “I think of it that way,” said Taylor. The beach as a living thing. A living beach. Fascinated, I began to look at beaches, read about them, talk to people who knew them. The research led to an article for Canadian Geographic magazine, a radio series for the Canadian Broadcasting Corporation and a TV documentary for Vision TV. Then a newspaper column, a home video and, finally, a book – The Living Beach (1998, second ed. 2014). At a Writers Union of Canada meeting, I asked Berton if that was true. What successful freelancers understand is that a significant body of research is actually a capital asset. In a world where traditional markets are shrinking and fees are dropping, a storyteller needs to wring the maximum value from the asset by recycling the material in as many different ways as possible. So he might follow my lead and start a subscription website like TheGreenInterview.com where, with producer-director Chris Beckett, I interview environmental leaders from around the globe — and also reach tens of thousands of viewers through four database companies that distribute the interviews in video, audio and transcript formats to schools, libraries and universities. Fundraising covers the initial costs [but] the storyteller’s long-term reward is the other uses of the material. The interviews can provide the foundation for video documentaries that aren’t necessarily broadcast (though some are), but are distributed in a variety of unconventional ways — online, through educational database companies, in institutions, in community halls and classrooms, on DVD and as downloads, and so on. I call it the Dock Deck Doc. The documentaries are built like the deck of a dock, resting on deep interviews just as the deck of the dock rests on pilings driven deep into the sea floor. Film financing or fundraising covers the initial costs of research, travel, interviewing and making the film; the storyteller’s long-term reward is the other uses of the material — the subscription website, the speaking engagements, the magazine articles, the book. My first Dock Deck Doc was “The Living Beach.” The second — the first with Beckett — was “Salmon Wars” (www.SalmonWars.com), on the issues surrounding open-net pen aquaculture. The third was an exploration of the human right to a healthy environment, www.GreenRights.com, which actually became three videos, one of which was broadcast on CBC-TV. The videos rested on 30 online interviews, which also yielded an article in an e-zine, a set of presentations to university audiences and academic conferences, a DVD and a book, Warrior Lawyers: From Manila to Manhattan, Attorneys for the Earth. And next January, I will be teaching “Green Rights” as an on-campus credit course and also a Massive Open Online Course, or MOOC, through Cape Breton University. The Green Rights project came about because legal scholar David Boyd told us in an interview that where people have environmental rights, they can and do defend the environment in powerful and surprising ways. Those stories — from 11 countries — are the heart of the films and the book. Environmental rights have the potential to change the whole way we approach the living world on which we rely. It’s a huge theme, which is why the project deserved — and received — years of our time. Our film and the book have moved people to a range of actions, including at least two lawsuits that would not have been launched without the inspiration of the TV show. What you should see is a naked story — and also a whole wardrobe of ways to clothe it. In 2015, the London economic consultancy Trucost submitted a startling report to the UN program on The Economics of Ecosystems and Biodiversity, noting that if corporations had to pay the full social and environmental costs of their operations, only one of the 3000 largest corporations in the world would be profitable. In other words, as a species, as a community of life, as a planet, we are steadily losing wealth through the activities of “profitable” corporations. Why don’t we see this, and how could we learn to see it? And are there corporations which do see it and are acting accordingly? Like environmental rights, full-cost accounting has the potential to generate profound changes in the human interaction with the living world that sustains us. It deserves a Dock Deck Doc. Stay tuned. In Canada, we’re fortunate to have the CBC — but successive governments have starved it, and it is not the open, innovative freelance market that it once was. The United States has no direct counterpart, but it does have National Public Radio and the Public Broadcasting Service, which can accept material from any affiliate station, while local stations can buy local stories themselves. Remember, the U.S. market, tight though it may be, is still ten times as big as Canada’s. Most storytellers are used to working alone — but today you need collaborators and partners. For instance, fellow Society of Environmental Journalists member Linda Pannozzo does a lot of my research and manages our website, but I also hire transcribers, web wizards and other helpers. But my most important working relationship is with my brilliant producer-director and friend, Chris Beckett, now retired after a long career in national TV, educational broadcasting and teaching. I do everything in front of the camera, and Chris does everything behind it. We sometimes call ourselves “the OFIAS Group.” OFIAS? Old Farts In A Subaru. A final note for storytellers: Opportunities for multimedia narrative are all around us — but most of us only see through the lenses of the forms we’re already engaged with. If you’re currently doing mostly TV drama, everything presents itself as a potential drama; if you’re oriented to magazines, you see magazine pieces everywhere. If you’re oriented to print, you don’t see video or audio. These are habits that smart storytellers should break. What you should see is a naked story — and also a whole wardrobe of ways to clothe it. That’s the challenge of our day, and also our opportunity. Silver Donald Cameron’s work includes plays, films, radio and TV scripts, an extensive body of corporate and governmental writing, hundreds of magazine articles and 18 books. He’s been a columnist for The Globe and Mail and the (Halifax) Sunday Herald. Cameron has also served as professor or writer-in-residence at seven universities. His current work is host and executive producer of TheGreenInterview.com, an environmental website devoted to in-depth conversations with leading sustainability thinkers and activists. * From the weekly news magazine SEJournal Online, Vol. 3, No. 22. Content from each new issue of SEJournal Online is available to the public via the SEJournal Online main page. Subscribe to the e-newsletter here. And see past issues of the SEJournal archived here.